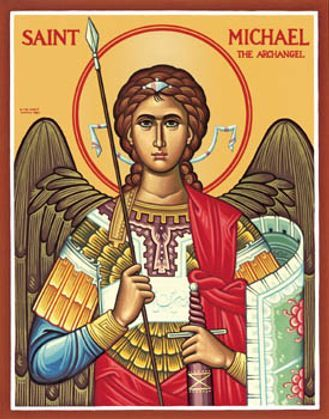 The Holy Chivalric Order of St. Michael the Archangel was founded as an honor conferred on those who have served the Church in some commendable way. Members of the Order are not required to be part of a particular jurisdiction, diocese or denomination. The Order is ecumenical and honors all those who significantly aid the Christian faith. We follow an ancient tradition. It is said that Christian chivalry began with the Emperor Constantine in the forth century. The Emperor faced a battle with Manentius. On October 28, 312 A.D., just before the battle, he had a divinely inspired vision of a flaming cross in the heavens with the inscription in hoc signo vinces (in this sign you will conquer). Subsequently, he had a new imperial Standard made in this design as it was carried into battle and guarded by fifty elite solders called the Praepositi Laberorum. Constantine was victorious under this sign, and the first Christian empire of Byzantium was founded. The fifty warriors were organized into a Sacred Knightly Guard, called Torquati (Golden Knights) and Perfectissimi (Most Perfect Knights). Thus, the first knightly or chivalric Order had been founded. The idea of knighthood and chivalry particularly flourished after the first millennium as part of the development of feudal States. It grew into a contract between the land lord of an area and chosen trained warriors. In this mutually beneficial contract, the knight acquired status and land in return for service to his lord. These services included military support as well as service as police and social worker for the local area. The basic ethical code of chivalry stressed justice and care for the needy and the defenseless. Services to a local lord and to the church grew at the same time. The Crusades began as church related Orders simply protected and cared for pilgrims to the Holy Land. These Orders later on also became involved in major wars surrounding the Holy Land. There has always been a chivalric idealistic element in knighthood. Today, there are more Orders, knights and dames than there ever had been in the past. This is partly because of the growth in population; partly also because over time the military warlike element has faded and disappeared, leaving the idealistic element as supreme. What was formerly male dominated has shifted to the point that membership in chivalric Orders is now equal for both men and women. A further development of different kinds of Orders has also taken place. There are dynastic Orders which are awarded to recognize supporters of a given dynasty, such as Britain's Royal Victorian Order. The most common type of knightly Orders are essentially in recognition, given by a State, for some noteworthy contribution to that State, such as Britain's Order of the Bath or the Most Excellent Order of the British Empire. The purpose of these State Orders is to recognize people as being superior and noble per se. Then, there is a smaller number of chivalric Orders which rest on some kind of service. Here, service itself is recognized as noble. Today, there are many chivalric Orders in both Eastern and Western churches. Most of these resemble State Orders which recognize personal status. The Holy Chivalric Order of St. Michael the Archangel recognizes actual service and individual contribution to the church. Status in this Order rests solely on service or contribution. It is a simple matter of good will when someone outside the church's immediate jurisdiction aids the faith. The Order recognizes those of good will. Some chivalric Orders are of a single class, i.e. all are equally knights and dames. Others are in a hierarchy of classes like in the Holy Chivalric Order of St. Michael the Archangel. This church award is classified as a decoration; and holders of this status can use their respective post-nominal, enhance their credentials, ministry or public standing. Rank in the Order is accompanied by an attractive and frameable diploma or brevet It is valid for life. 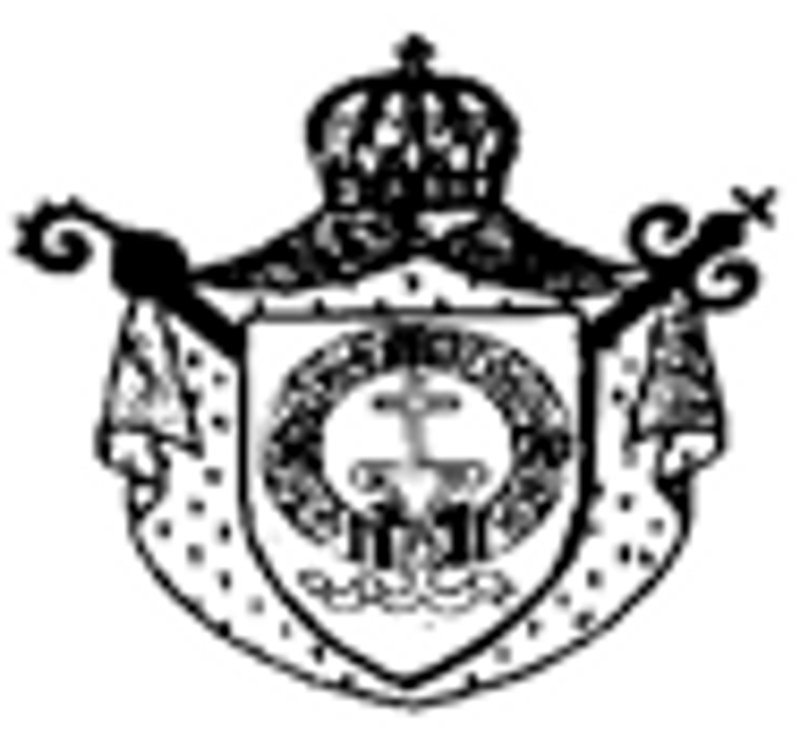 The Holy Chivalric Order of St. Michael the Archangel is now governed under the spiritual auspices of the Nebraska Ukrainian Orthodox Exarchate and its appointees. The Order was founded on May 1, 1995 A.D. that "well deserving efforts on behalf of the Holy Church may be recognized" [Grammata of Foundation].